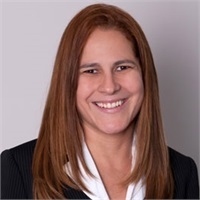 Margarita Dominguez is the Compliance and Operations Manager for Legacy Wealth Management and has been with the firm since 2000. She manages administration and handles a number of day-to-day operations that keep the firm running efficiently. Margarita is also responsible for conducting periodic internal audits to ensure compliance procedures are properly followed at the office. Margarita is consistently finding opportunities to enhance the firm’s value proposition and improve efficiency of workflow, operations, and compliance. Margarita resides in Margate, FL with her husband, Mitch, and son, Christian. Her interests outside of Legacy Wealth Management are traveling and spending time with family and friends. She also enjoys serving as an active member of the Lupus Foundation of America South Florida Chapter in hopes of bringing Lupus awareness not only in her community, but throughout South Florida.